Dr. Terri Roberts brings more than 17 years of clinical experience to her position as a practitioner specializing in burns, hand therapy, and lymphedema. She teaches Orthotics and Prosthetics, Biomechanical Interventions, and Physical Modalities for the Master of Occupational Therapy (MOT) program. 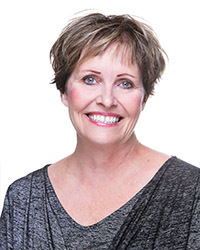 In addition to her teaching responsibilities, Dr. Roberts is a certified hand therapist and a certified lymphedema therapist who works in private practice at the California Orthopedic Institute. Prior to joining the University of St. Augustine for Health Sciences, Dr. Roberts served as an occupational practitioner at Therapy Specialists in San Diego and Palomar Pomerado Health Systems in Escondido, California; an occupational therapist at the University of California, San Diego; and a clinical adjunct instructor at Grossmont College in El Cajon, California, where she developed curricula for the occupational therapy assistant program. She has presented guest lectures at San Diego State University, West Coast University, and Grossmont College. Dr. Roberts is a member of the American Occupational Therapy Association (AOTA) and the National Board for Certification in Occupational Therapy (NBCOT). She also has served as a member of the Professional Development and Leadership Committee for the Occupational Therapy Association of California (OTAC).